This quiff hairstyle can be styled with long hair that falls into natural parts. It’s a great low maintanence casual look for a everyday wear. 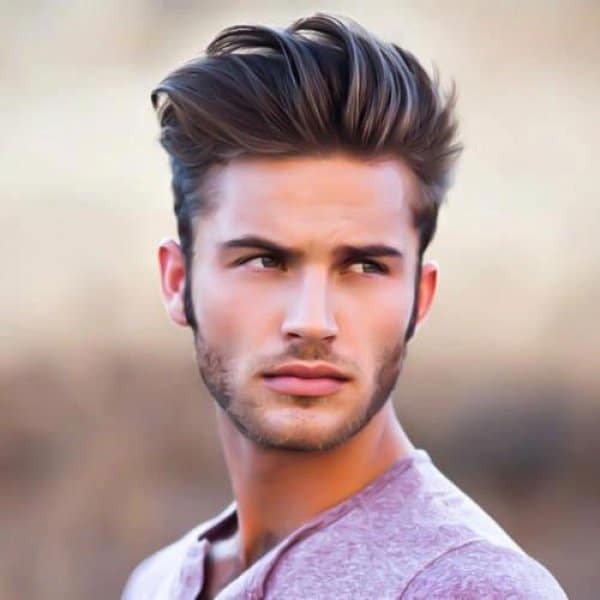 The hair when naturally having more volume on top is ideally suited for men with rounder faces, as the contrast in volume from the side and top helps the face seem much thinner.